I've been working on some nice and well, rather uneventful sewing projects lately. I thought it worth highlighting some great tools/articles/information I've been using as of late. I just love anything and everything that can make my sewing life easier and my end result more professional. Seriously, a tailor's ham is a girl's best friend. The right shears/cutting tools make you feel like getting up in the morning. Having the right iron is like having that one best friend that will never, ever tell any of your secrets to another living soul - even if they were tortured! What better way to celebrate these small daily sewing spots than to pass the tips along to you! Have you tried this stuff? It's like crack for ironing addicts. It's like way way way better than starch (and I am a starch lovin kind of gal and no, don't you dare question my age!!!)! Mary Ellen, whoever you are, you've won my heart with your Best Press. It can only receive a glowing commendation from me. Tanya Whelan came out with this lovely book a bit ago. I have been relishing it as a bit of a treasure because I love how it teaches you how to manipulate/draft patterns to be something else instead of reinventing the wheel with trying to fit yet another pattern. And she gives you a basic pattern to start with as a base. So you'll fit the one pattern and then guess what? 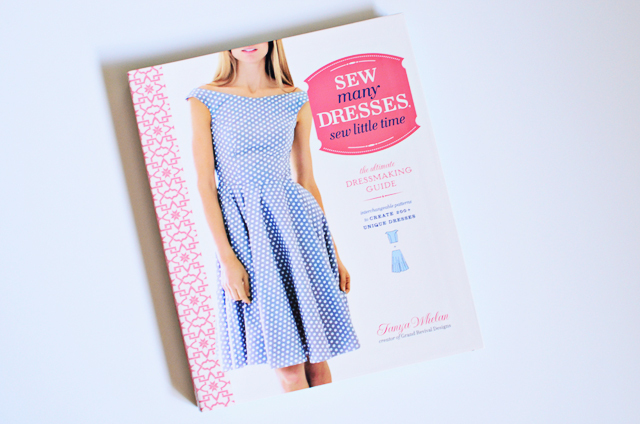 You can manipulate the pattern to be the other dresses in the book and those will fit you too! Y'all know how much I love this idea. It's like smart and stuff. Since I've been playing around with doing some of the above from Tanya's book recently, I've also had the chance to use this little guy. Claire's Curve Runner is pretty amazing. So clever. It's so nice to be able to measure a curve without having to break out the measuring tape. Claire is kickstarting a business, so I think it's only apropos that she gets some help. Small business is not for the faint of heart, as I've told you before. And these clever tools she's got are worth every penny. Do go and give her some support. I am not a Pellon enthusiast. But, I will say that this lite tear away stabilizer is absolutely amazing for buttonholes. I doubt that you'll need it for all buttonholes, but when it comes to working with fine shirtings that tend to be on the thinner side, this makes all the difference. The buttonholes on my machine tend to bunch up and pucker. Well, no more! No more! I use this stuff on the underside as I stitch a buttonhole onto my garment and then voila - I tear the excess away! They end up looking marvelous. And I can finally let the cat out of the bag on this collaboration. I'm excited to be apart of the Sewing Party this year. Even better, I got a new friend. My Pfaff's got a way with pretty much everything. Gorgeous buttonholes (speaking of), beautiful stitching, topstitches through granite, has a clever little ant stitch, has a giant free arm space (love this so much) and has more gadgets and gizmos than I even know what to do with. Those Pfaff Performance 5.0's are in a league of their own. I'm loving mine! Promise: a full run down later on. I'm sure you'll want to know all the dirty deets on this guy in the pic. Oh and don't miss my post on how to line an easy skirt, aka the Hollyburn Skirt - my favorite! Good to see you! These all look like great tips. Pernell???? I am delighted to find that you have a presence on the Internet even though your stores (brick and web) are closed. I used to make all my own clothes but as a weaver I find that my small business claims all my time--plus I like weaving a LOT! But I still like learning the kind of thing you are offering. So, a big thanks! You have the curve runner already?! I can't wait to get mine; there have been several times I could have used it already... Interestingly, I bought her 3/8" curve pattern drafter ruler thing a couple of years ago and use it a lot more than I had anticipated. I like Best Press, too, but, mercy it's too pricey for regular use for me. I stick with Magic Sizing. I take your recommendations seriously (finally bought the one-blouse-many-looks class on Craftsy) so I think I'll add Tanya's book to my (ever growing) wishlist. Thanks! You are the best for introducing cool products. I just ordered this book on your recommendation -- I can't wait to get it. I'm a little confused about how the curve guide works....I went to look at it and you can order it in different wheel sizes....does it have to do with your size? I've gone to the site and am still unsure how the Curve Runner works. Do you start with the wheel at zero, roll, and then hold it in place with your finger? Is there a locking mechanism? 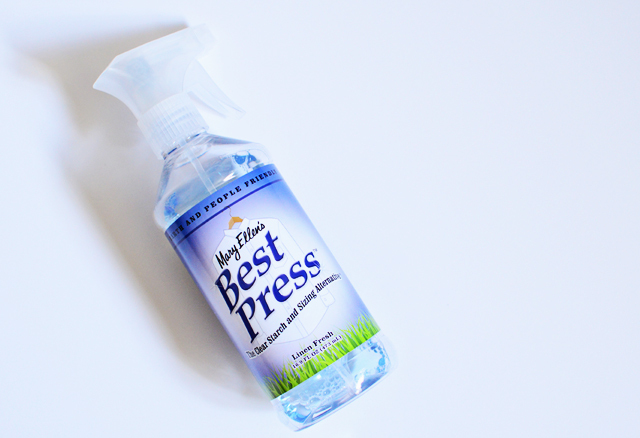 Does the Best Press coat the iron? Great posts. I will be getting book and the starch for sure! What size Curver Runner do you think would be best? How do you decide that? Thank you! Love the Best Press and Curve Runner and looking forward to the larger size coming out. I buy Best Press by the gallon on Amazon. Thanks for sharing your best secrets, Sunni!Love your blog! Just a short note to say that I enjoy your blog, and your recomendations, and have done so for several years now. Keep up the good work, and well done on valuing your time and making some income from it. Home sewing is so often undervalued - yet it is one of the most rewarding and creative hobbies we can do. cheers. Always happy to see one of your posts as they are always super informative. I'm a little confused though as I've had one of these "curve runners" for a few years, bought at the same time as my two S/A curve rulers. I noticed that business disappeared for a while and then came back, is it the same person just relaunching? Oh thank you Sharon! Your weaving is so inspirational! I know how it is to find that "thing" that you just love to do. It gives you daily little "puzzles" to solve that you find so fascinating - this is how I feel about sewing. It's marvelous when you get to a point where you really feel great about what you do and then you feel a bit proud of yourself when you've mastered something or found out something new about it. It's marvelous! Thank you Tracy! Oh my goodness, I'm so glad you got the Craftsy class - I do hope you enjoy it. I found it so fascinating, wonderfully put together and the blouses she made were inspiring and I felt like I could incorporate her tips and techniques into everything I was doing. Great, great class. Yes, I'll agree about the Best Press being pricey, but I do love it so. I try to use my Joann coupon on it. And then I save it for my best shirts and pants too. Oh I think you'll love the book. I found it great to see all the different and exciting manipulations you could do to the pattern. Such an easy to use book too. I love the way she's got it mapped out. Really lovely and such great tips and tricks. The curve runner is pretty clever. Let me give you an example of how I use it and then you can hopefully get an idea from that. I sometimes mess with the sleeve cap on sleeves and this tool works really great when you need to measure a curved seamline. I just take the runner, start at one end and then run it along the seamline of the cap and watch how many rotations it makes along the way to the other end. Then I can compare that measurement to the measurement of the armscye. I find it doesn't have anything really to do with your size, but I am eyeing the larger one too as then I wouldn't have to count so many rotations (I'm so lazy!). It's surprisingly useful. Like really surprising. I had some serious doubts about it, but I use ALL the time now. Love it! Yes, I start with the wheel at zero and then when I come to the point that I want to end at, I just hold it in place and take the measurement and how many rotations the wheel has made. No locking mechanism on mine. They are well crafted and I love the clear plastic as you can really see what you're doing from so many angles. Hopefully this helps! See above too as I gave Colleen an example. The Best Press doesn't coat my iron and it doesn't leave the "white stuff" and it just makes such a nice press on everything. I've also found that if you spill or stain something that yourself then when you go to wash it, it comes out a ton easier. It's pretty much magic in a bottle. I have one of the smaller ones, and I'm eyeing the bigger ones myself. Personally, I say the bigger the better! Then you don't have to count so many rotations. Still loving mine though - use it a bunch! Oh thank you for this tip! I might just have to do that too - Amazon for Best Press everyone! Yay! Oh thank you Linda! It is an undervalued skill and yet so much could be learned from it. I was talking to someone the other day about drafting patterns and I was like, "It's all geometry! All of it! I'm wearing geometry! It would have been so much easier for me to understand geometry if we had drafted a sewing pattern in school!!!!" Wouldn't that be awesome? I would love to teach that class! "Hey Class, today we're going to learn how to adjust a commercial sewing pattern to fit you by applying some geometry. Let's go!" Oh this I don't know! It's possible that Claire tried to start up on her own and found that herself without enough funding - I've been there a number of times. It always takes so much more than we even plan for with business startups. But hopefully she's got some good backing with her Kickstarter plan and we can see her get more steady. Keeping my fingers crossed for her! Glad to have a curve runner! Yay! You always find the neatest new things - just bought that curve measurement gizmo. Can't tell you how often I've needed one of those over the years. Thanks! Hi Sunni! My Curve Runner just arrived in the mail and I was turned on to the gizmo through Lladybird's blog mention about Clair's Kickstarter effort. I love it! And I'm all over all those other tools you mentioned too. I really enjoyed your post since is reaffirms I'm fully armed for the cause! You're a great blogger and you (and Lauren) were inspirations to get mine up and running. Now I'm hopping over to Amazon from you link to grab that book! 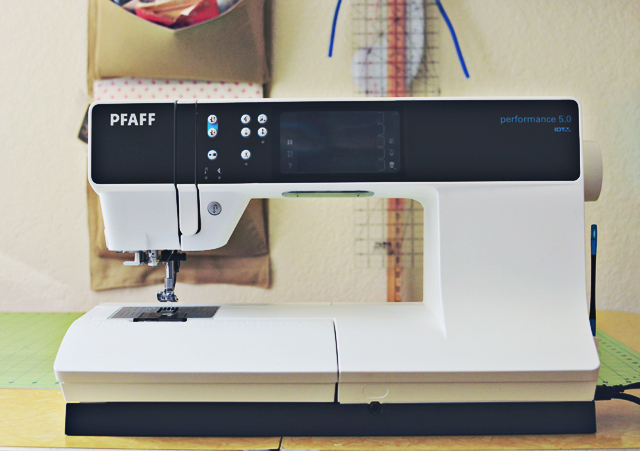 Are you saying that your new Pfaff performance 5.0 makes buttonholes that bunch and pucker, or are you referring to another machine? I'm curious because I'm considering this machine! Thanks! I cannot find a ham for love not money, where I am! I asked three different people at two different big box craft stores, and none of them even knew what I was talking about! Not many other options here, might have to make my own. Using a towel is not cutting it. No, no, no! The machine is beautiful and makes a glorious buttonhole stitch. But I'm saying that on every machine I've tried where I am using a very fine cotton shirting or voile (meaning they are quite thin) that sometimes there is a tendency for the buttonholes to pucker in on themselves (goes for my Bernina too!). It's a fabric problem, not a machine problem. So when I have the fabric problem, I use this tear away stabilizer that works beautifully on the say a lovely cotton thin voile. That book sounds really amazing! I've been wanting to improve my pattern hacking skills for awhile, and need to purge a lot of my more basic big 4 dress patterns due to some post-baby sizing changes. So this sounds like a stellar replacement! Oooohhhhhhhh. I see. So that would be useful for someone like me who's always changing up sleeves (using your example). I love the book, btw. I spent this morning reading it and now I want to go out and buy more fabric because new book means new fabric. I'll try to contain myself to my stash. I may just have to get a ham now. And the tear away stabilizer sounds good for those thin fabrics. My first shirt feels like it has cereal box cardboard in the button plackets! Great blog! Thanks for all the tips. I may be in the market for a machine upgrade. I look forward to your review of your Pfaff. All the best.